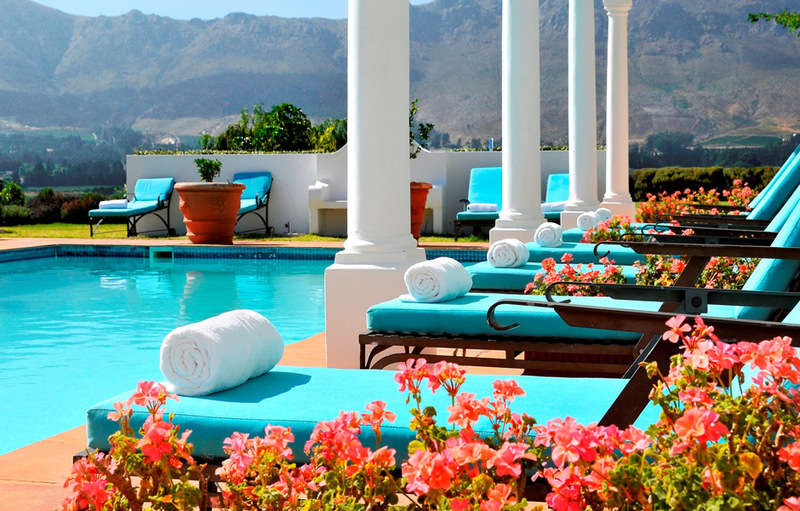 Boasting 360 degree views of the Franschhoek Valley, Mont Rochelle is an elegant manor house boutique hotel. Life moves slowly here and the focus is on rest and relaxation. Guests can enjoy delicious international cuisine at the award-winning Provencal-styled Mange Tout Restaurant, or Mediterranean style fair at The Country Kitchen located within the wine tasting facility in the Mont Rochelle vineyards. Guests can collect a picnic basket from The Country Kitchen and enjoy a leisurely day picnicking on this beautiful working farm. The Colonial-style Cigar Bar, with its huge fireplace, is the perfect spot for pre or post dinner drinks. The hotel’s leisure facilities include an onsite gymnasium and wellness centre offering massages, Jacuzzi, and sauna. There is an outdoor pool, and mountain bikes and horse riding are also offered. Mont Rochelle rooms are a perfect blend of style and comfort with breathtaking views from every corner. The hotel has sixteen bedrooms and six plush suites which span three wings of the hotel. The staff are attentive and the service will exceed your expectations. The room styles vary from the more contemporary to classic or colonial. Each room has an en-suite bathroom, telephone, television, safe, under-floor heating, air-conditioning and in-room refreshment facilities. 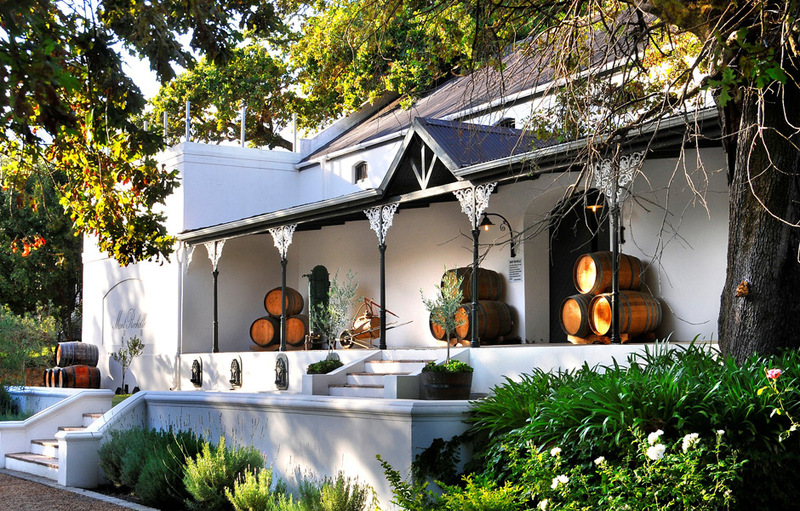 Shiraz room – either king or twin rooms with lovely views of the Franschhoek Valley and surrounding vineyards. En-suite bathrooms have separate baths and shows, under-floor heating and heated towel warmer. Each room is individually decorated in a colonial African style. 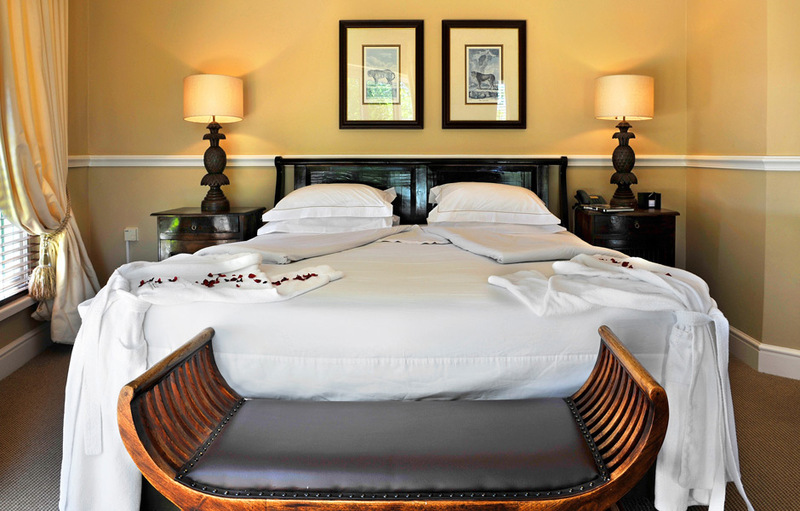 Merlot room - either king or twin rooms with lovely views of the Franschhoek Valley and surrounding vineyards. En-suite bathrooms have separate baths and shows, under-floor heating and heated towel warmer. Each room is individually decorated in a colonial African style. Cabernet room – large king or twin rooms with private terraces with spectacular views of the vineyards and surrounding mountains. The spacious rooms are decorated in rich African jewel tones of green, orange and brown. En-suite bathrooms have separate baths and shows, under-floor heating and heated towel warmer. 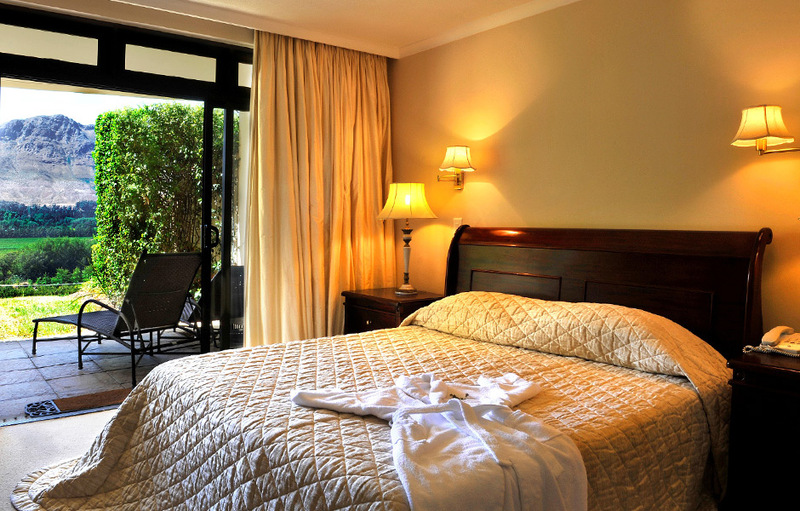 Pinotage suite – these luxury suites have a separate living area and an en-suite bathroom. Each suite is different all with unique features like open fireplaces and double-volume open thatch roofs. 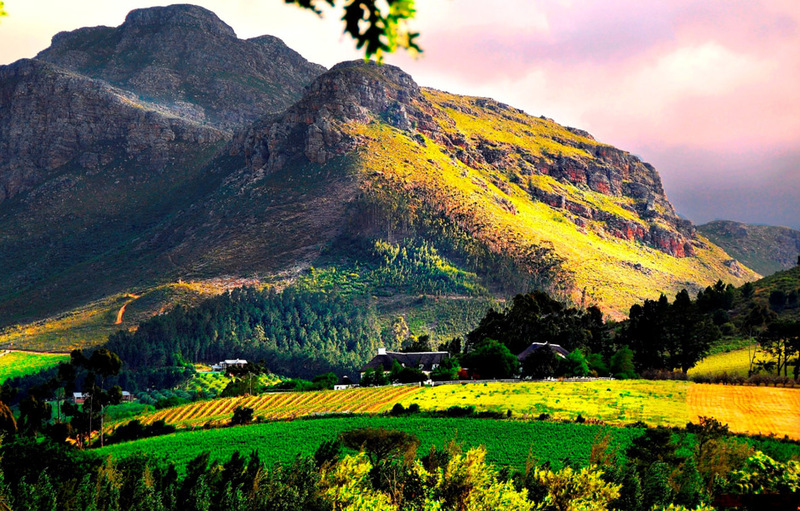 There are exquisite views over the Franschhoek Valley from the bedrooms. Bedroom facilities include under floor heating, air conditioning, hairdryer, safe, two televisions, DVD player, and in-room refreshment facility. Suite No. 14 can accommodate children on the sleeper couch in the lounge area. Reserve suite – This is a very private luxury suite with a separate living area, separate dressing room and bathroom en-suite. Reserve Suite guests enjoy a private, walled Zen garden, an outdoor Jacuzzi as well as a dining and lounger area. Décor is contemporary African chic. Bedroom facilities include under floor heating, air-conditioning, hairdryer, safe, two televisions, DVD player, mini bar and a hot beverage facility. Cap classique suite – These suites with gorgeous views, boast separate lounge and dining areas, separate dressing rooms, en-suite bathrooms and a separate guest toilet. The private terrace and plunge pool is the perfect spot for relaxing on a hot summer’s day. Bedroom facilities include under floor heating, air-conditioning, hairdryer, safe, two televisions, DVD player, mini bar and a hot beverage facility.